State relations between China and Argentina have experienced major developments over the course of the last 15 years. 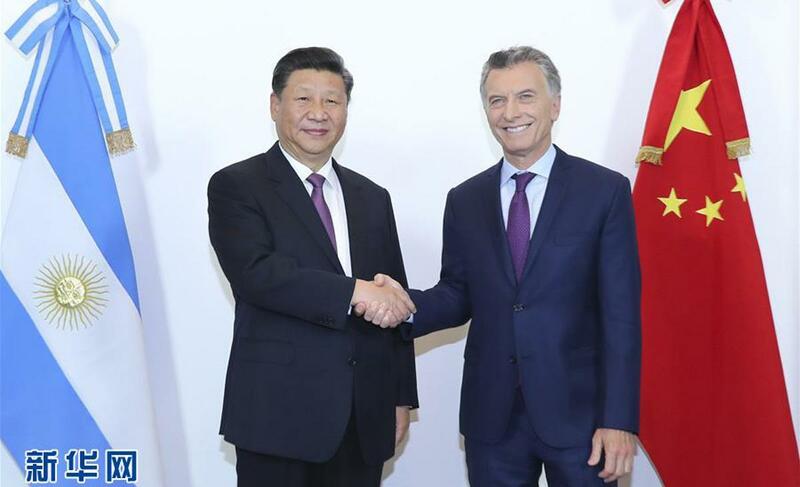 On December 2, following the conclusion of the G20 Argentina Buenos Aires Summit, Chinese President Xi Jinping paid a State visit to Argentina. This marked the first visit to Latin America by President Xi Jinping following the 19th CPC National Congress and his second visit to Argentina. In 1972, China established diplomatic relations with Argentina; in 2004, China and Argentina established a strategic partnership; in 2014, the two countries established a comprehensive strategic partnership. Along the way, what kind of development path has China-Argentina relations experienced? What new opportunities will China- Argentina cooperation usher in under the “Belt and Road” Initiative? China Focus conducted an interview with Lin Hua, Secretary-general of the Argentine Research Center of the Latin American Institute of the Chinese Academy of Social Sciences to learn about her interpretation of China-Argentina relations. China Focus: At what stage is the development of bilateral relations between China and Argentina? Lin Hua: State relations between China and Argentina have experienced major developments over the course of the last 15 years. In 1972, China and Argentina established diplomatic relations. Their relationship has since been growing steadily, but a strong partnership is yet to be established. However, in the past 15 years, China-Argentina relations, especially in the sphere of economic and trade cooperation, have entered a stage of rapid development. The first reason is that trade between the two countries has grown rapidly since 2003. Trade between China and Argentina has grown faster than Argentina’s own foreign trade, reaching $14.8 billion in 2013, the highest level in history. Second, China’s investment in Argentina is becoming increasingly diversified. China’s investment in Argentina began in the 1990s. At the beginning, it was concentrated in a few areas including fisheries, agriculture and ocean transportation with a relatively small amount of investment. After 2003, with the improvement of the economic situation in Argentina and the implementation of the strategy encouraging Chinese enterprises to “go global”, China’s investment in Argentina has become increasingly diverse, expanding to industries including mining, energy, transportation, infrastructure, manufacturing and finance. China Focus: In what areas is China’s economic cooperation with Argentina mainly concentrated? Lin Hua: In 2014, China and Argentina announced the establishment of a comprehensive strategic partnership, and many large-scale cooperation projects were established between the two countries. The highlights of current cooperation are mainly concentrated on the construction of railway transportation in infrastructure construction. 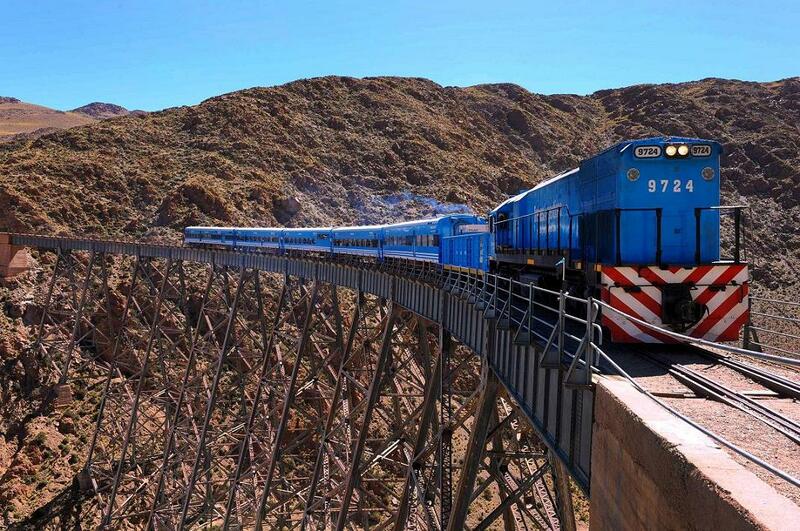 The “Train to the Clouds” is seen on a track, in Salta province, Argentina, April 5, 2015. Argentina’s railway developed early and has a relatively sound foundation. At the end of the 19th century, Argentina had gradually established its railway network. However, after the 1950s, rail transport in Argentina faded due to lack of investment and competition from road and air transport. Some of the previously built railway networks have been abandoned due to years of disrepair and aging equipment. Currently, Argentina’s cargo transportation relies mainly on roads but remains very expensive. For example, although Argentina is a highly successful soybean producer, it takes a very long time to ship these soybeans from interior production bases to ports due to high transportation costs. Prices rise accordingly and appear to be less competitive compared with neighboring countries (such as Brazil). In 2011, Argentina launched the “Railway Recovery Plan”. In 2015, it nationalized all the railway networks in the country, a move which has made it possible for China and Argentina to cooperate in railway transportation. The Belgrano railway reconstruction project is one of the successful cases of China’s participation in railway construction in Argentina. In 2013 and 2017, several Chinese companies and Argentina signed a general contract and a supplementary cooperation agreement for the Belgrano railway reconstruction project. Chinese companies will assist Argentina in renovating the Belgrano railway line and provide the necessary equipment. The original Belgrano Railway has comparatively small capacity with an average speed of only 30 kilometers per hour, which means it runs even more slowly than cars. Following renovations with assistance from Chinese companies, the railway can now reach speeds of 90 kilometers per hour. The Belgrano Railway renovation has offered great help to local people. It has greatly improved the cargo transportation’s quality and efficiency while significantly reducing transportation costs. China Focus: Under the Belt and Road Initiative, in which areas can China and Argentina cooperate? Linhua: There are two areas in which China and Argentina can cooperate under the Belt and Road Initiative. The first is to link up with development projects in Argentina. areas to ports, resulting in a lack of competitiveness of domestic products. In July 2016, the Argentine government introduced a transportation infrastructure construction plan. Total investment in all the outlined projects exceeds $33.2 billion. Suffice it to say that this is the Argentine transportation infrastructure revitalization plan. This program can be linked to some projects under the Belt and Road Initiative. At the same time, Argentina is already a member of the AIIB. It can use some of the AIIB funds to support domestic development strategies and promote the overall economic development of the country. The second is to promote the integration of South America. In 2000, 12 countries in South America began the “Initiative for the Integration of the Regional Infrastructure of South America (IIRSA)” with the goal of achieving integration of transportation, energy and communications in South America. This initiative has been in the implementation phase for years, but progress has been very slow for a variety of reasons, including insufficient funding and differences in national development strategies. The “Belt and Road” Initiative can be linked to IIRSA to promote the integration of transport facilities in South American countries. China Focus: What is the current economic situation in Argentina? The G20 summit will be held in Argentina this year, so what opportunities can this bring to its development? for the first half of the year. To be even more pessimistic, the situation may not see much improvement over the course of next year, and even if it improves, the country may remain at negative growth or zero growth. In this context, Argentina can establish and display its own national image by holding a high-level summit such as the G20, so that investors can see its future development trend and potential, and attract more investment through its own efforts. Argentina is the first country in South America to assume the chairmanship of the G20. The G20 summit is of great significance for enhancing the international status of the country.